Bad picture of the balm on my hand. As you can see it gives quite a clear/natural look. I love this lip balm, it gives your lips a great shine. It’s so creamy too. I’d say this is probably one of my favourite lip balms I’ve tried so far and it’s so cheap! The packaging is cute too. Highly recommend this, I might try out some more colours myself. 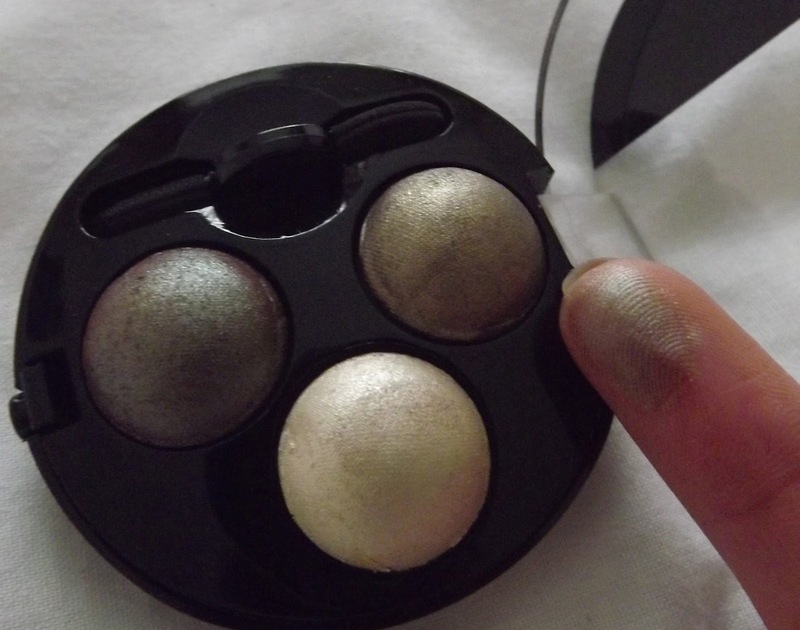 This eye shadow is great, it’s really pigmented and showed up very gold on my eyelids. Normally £1 eyeshadows are rubbish but this lasted all day and didn’t really crease! I’m so pleased with this eyeshadow trio, with cheap eyeshadows I often find they are too weak so I have to spend ages putting it on but I didn’t find it with these. The back of the packaging recommends how to wear the shadows. and use the white eyeshadow as a highlighter. Really impressed, I only had to apply one coat as the varnish is so thick. I always find myself applying coat after coat with other polishes. 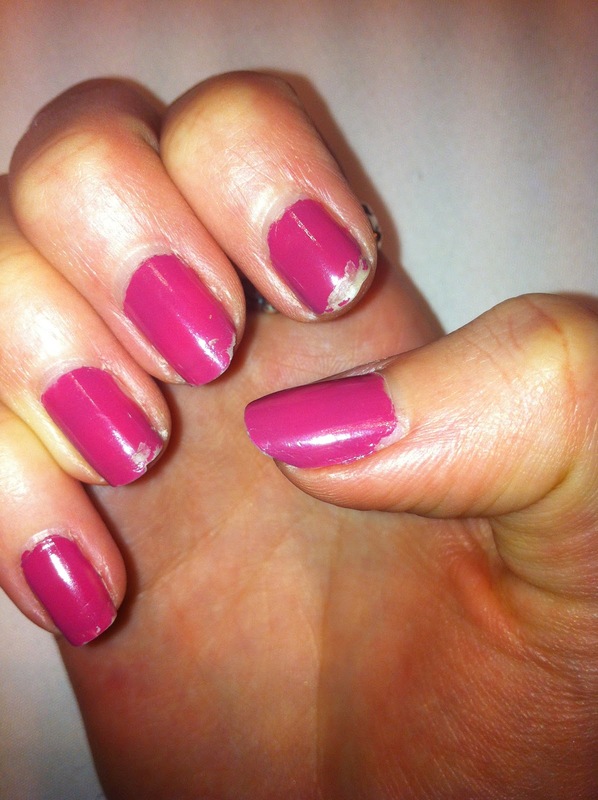 Really like these nail varnishes although they do seem to chip almost straight away! May have to try a clear coat next time. Next Post Free Clinique mascara at Debenhams!